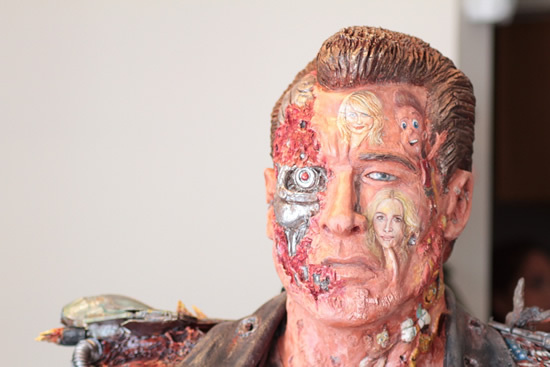 Ripley’s has recently acquired a realistic-looking sculpture of Arnold Schwarzenegger as the Terminator, and it that wasn’t cool enough, it’s covered with some of the most popular film characters created by Tinseltown. 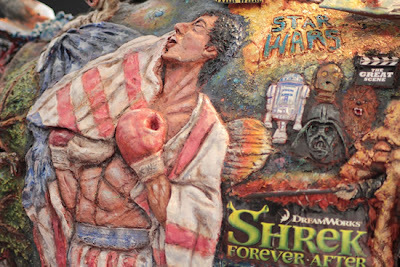 Ripley’s has a variety of amazing stuff waiting to be discovered in its Odditoriums, but their newest attraction – a sculpture executed by John Ramos – may just be their geekiest yet. 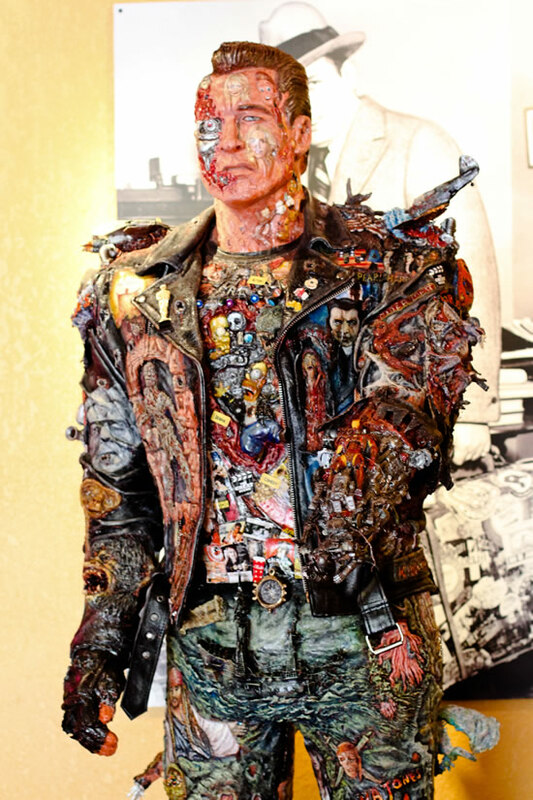 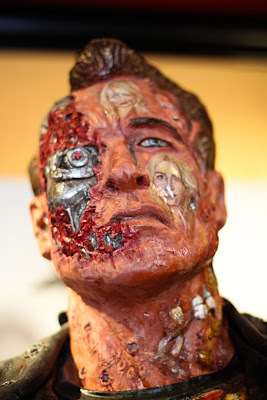 The life-size Terminator was designed as an homage to the American film industry and features depictions of some of the most popular characters in the history of cinema. 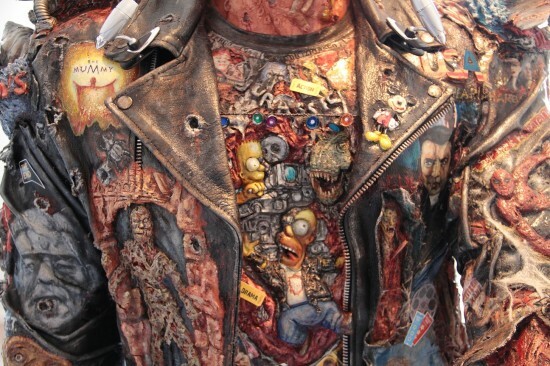 Looking closely, you’ll discover three dimensional scenes from blockbuster hits like Rocky, Harry Potter, The Wizard of Oz, Jaws, Alien, Predator, The Simpsons, Spiderman, Pirates of the Caribbean and many more. 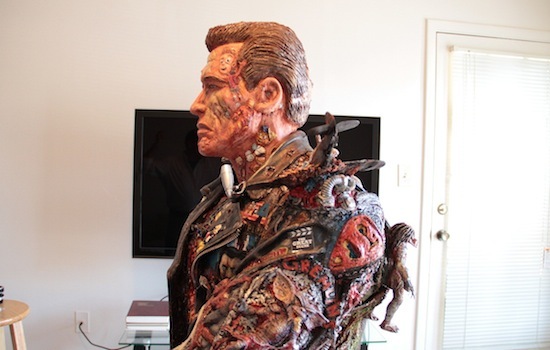 This unique Terminator sculpture is made of clay, resin, paper, plastic and even a real vampire bat, and took Ramos five months to complete. He is now working on a motorcycle to go with the statue and plans on covering with even more Hollywood inspired artworks. 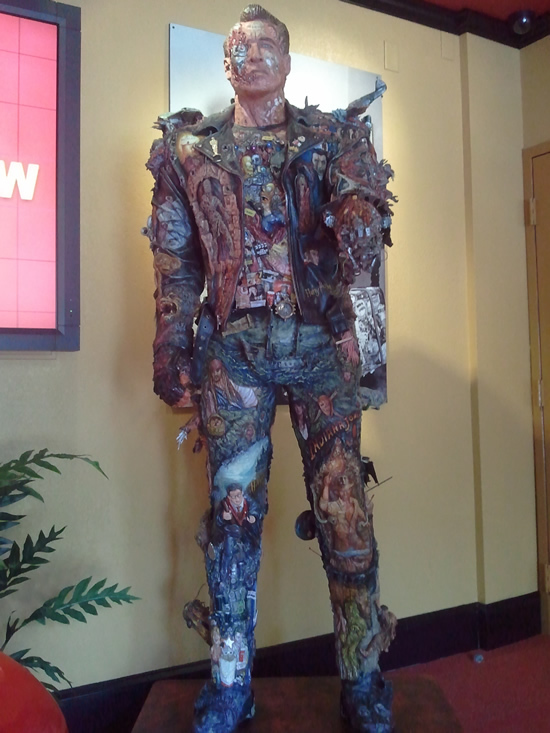 The Terminator is currently on display in the Orlando Odditorium lobby, but will be transferred to the one in Hollywood, as soon as it’s renovation is complete. Guess Who is this Beautiful Lady...?